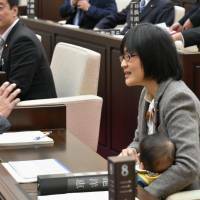 KUMAMOTO - The Kumamoto Municipal Assembly on Monday approved a proposal to restrict the entry of nonmembers into the assembly hall after a member caused a stir by bringing her baby to one of the sessions. The assembly’s rules previously lacked stipulations on who is allowed to enter the chamber. 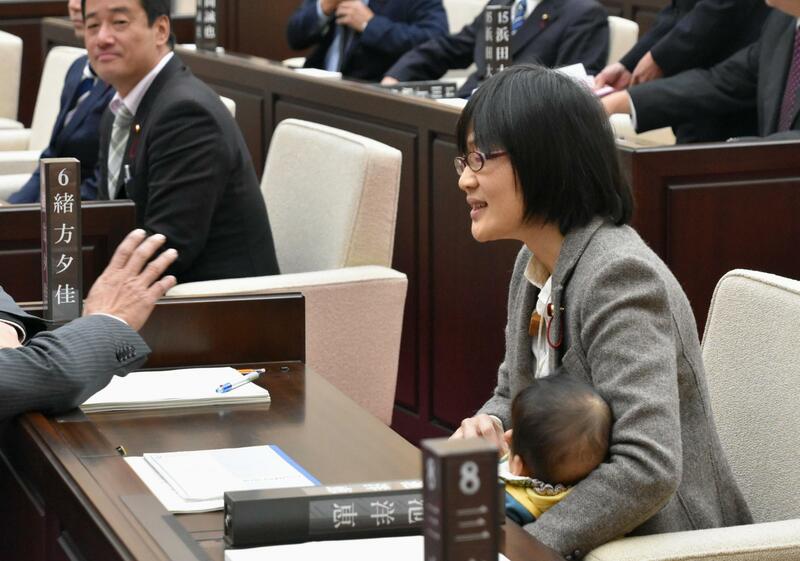 In November, Yuka Ogata, 42, brought her 7-month-old son to a session, saying she did so in the hope that the assembly would be friendlier to women who are juggling their careers with child-rearing responsibilities. Ogata objected to the revision, citing the lack of explicit criteria. “We need to set up a committee and discuss the matter with experts,” she said. On Nov. 22, the assembly began about 40 minutes late after a quarrel took place between the chairman and Ogata. She was eventually persuaded to leave her baby with a friend before returning to attend the session. She later received a written warning for obstructing the flow of an assembly session. Ogata said she had been asking the assembly office about whether she would be able to bring her baby with her to the sessions since she became pregnant. The proposal, made last month, limits entry to assembly members, people requested by the chairman, and others whose presence the chairman deems particularly necessary. While some countries allow lawmakers to bring their babies into parliamentary chambers, opinions in Japan are divided. The government of Prime Minister Shinzo Abe has been trying to improve conditions for working women, especially those who give birth. According to the 2017 report on global gender gaps released by the World Economic Forum, Japan is ranked 114th out of 144 countries, one of the worst rankings for an industrialized nation.